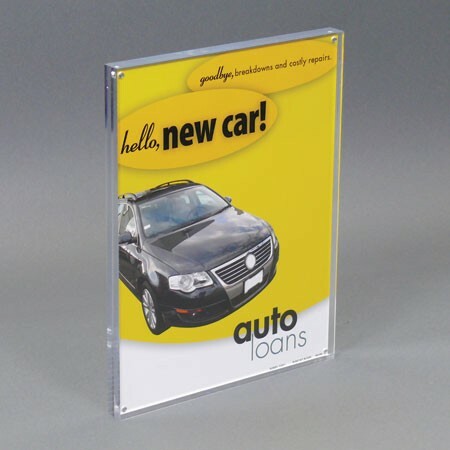 This stylish all clear acrylic picture frame showcases up to a 8x10 insert. The two .5" thick acrylic panels are held together by four high-powered magnets in the corners. The magnets hold the panels together with great strength. This acrylic picture frame is for table top use. the picture frame can be used for one or two sided viewing. Custom sizes & Imprinting available!